I am once again writing about a cricketer today. This time I will be comparing two great all-rounders who played cricket when I was in school. The players are from England and India, namely Ian Botham and Kapil Dev. Of course, both were great players in their own right and it really is a difficult job to do a comparative analysis but I will try to make an impartial assessment. I will compare the cricketing statistics of the two players first. Botham has played 102 tests and has scored 5200 runs at an average of 33.52. He has scored fourteen centuries and 22 fifties with a top score of 208. He has bowled 21,815 balls and taken 383 wickets at 28.40 runs apiece. He has played 116 ODI's and scored 2113 runs at an average of 23.13. His top score in ODI's is 79 and he has scored 9 fifties. He has not scored any century in ODI's. He has bowled 6,271 balls in ODI's and taken 145 wickets at 28.54 runs apiece. Let us now examine Kapil Dev's record. Kapil has played 131 tests and scored 5348 runs at an average of 31.05. He has scored 8 centuries and 27 fifties. When it comes to test match bowling, Kapil has bowled 27,740 balls and taken 434 wickets at 29.64 runs apiece. In ODI's Kapil has played 225 ODI's and scored 3783 runs at an average of 23.79. He has 1 century and 14 fifties under his belt. He has bowled 11,202 balls and taken 253 wickets at 27.45 apiece. If we look at the statistics, the two players more or less seem to be equally poised and on par with each other. But statistics are always suspect and never reveal the real truth. If we are to look at other aspects of the cricketing careers of the two players, Kapil Dev captained India successfully for numerous years whereas Botham's tenure as the captain of the English side was a failure and short lived. But let us look at the batting and bowling potentials of the two players. Botham's performance against India has always been swashbuckling. I remember watching Botham from the 1979 series between England and India. I watched every test match of this series on television. England won the first test match. In the second test, Botham swept through the Indian second innings, but India somehow managed to salvage a draw. In the third test at Headingley, Botham scored 137 runs but India was saved by the weather. In the final test at Oval, Botham took 4 wickets in the Indian first innings. India almost won that test when Sunil Gavaskar scored a brilliant 221 on the last day of the match. I still remember the third test match as if I had watched it yesterday. 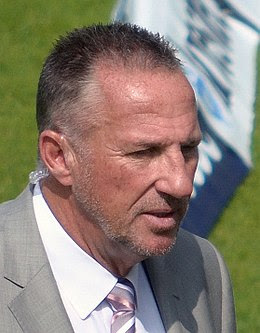 The match was played at Leeds in England and Ian Botham scored a century in the first innings. In that innings, Botham played a rather peculiar stroke. The delivery was a slow one, pitched outside the leg stump. In a lightning quick move, Botham exchanged his right-handed hold on the bat to a left-handed one and stroked the ball to the boundary and I remember the commentator exclaiming excitedly, 'Only Ian Botham can get away with that. That was the first time I had seen a reverse stroke played by a batsman. Of course, nowadays, we get to see numerous types of unorthodox stroke play in cricket matches. It is often said that Ian Botham never really lived up to his true potential as a cricketer. In this regard, I would like to cite his exploits in the Ashes test series between Australia and England. In this series held in 1981 the third test at Headingley is something which is part of cricketing folklore. It is still remembered by cricket enthusiasts and Englishmen of the older generation like to discuss this test in pubs over a peg of beer even now. In fact, Chris Old the English bowler who played a significant role in this test opened a Fish and Chips shop in a remote English sea-side village and used to regale his customers with tales of this test match. By 1980, Botham had played 25 tests and scored 1336 runs at an average of 40.48. He had also taken 139 wickets at 18.62 runs apiece. He was by far the most influential member of the English cricket team and was consequently appointed the captain. Botham resigned as captain after losing the three-match one day series against Australia and two tests and Mike Brearley became the captain once again. During Botham's tenure as captain, in the 12 tests, England played, they lost 4 and drew 8. Botham's personal record was also dismal. He had scored 276 runs at an average of 13.14 and his 35 wickets cost him 33.08 apiece. From a swashbuckling all-rounder at the peak of his form, Botham was suddenly reduced to a non-entity. Mike Brearley was appointed captain again. 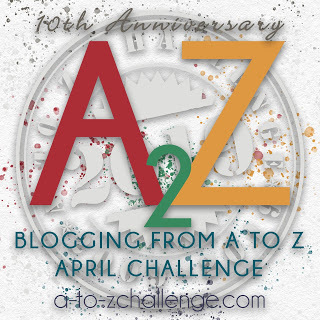 Getting back to the Headingley test match of 1981, the English team assembled for the test match and Kim Hughes the Australian captain won the toss. He asked his wicketkeeper Rod Marsh and strike bowler, the ferocious Dennis Lillee to examine the wicket and after much deliberation chose to bat. John Dyson scored a century and the Australians played carefully and at the close of play were 203 for 3 wickets. Botham was bowling with a lot of inhibition and the brilliant captain Brearley was observing him. Brearley told Botham to stop bowling the ball away from the stumps and to bowl at it. After tea Botham suddenly lost all inhibition and took 5 wickets for 35 runs. Australia declared at 401 for 9. In their first innings, England totally messed up. Boycott and Gower were scalped by Lawson and Botham hit 50 of 54 deliveries and was out to a simple catch by Marsh off Lillee. England were bowled out for a mere 174 in their first innings. Hughes asked England to follow on. The play was stopped due to bad light but before that England lost Gooch. But the Sun soon began shining and play resumed and the crowd was waiting for just this. Boycott and Willey batted skillfully but soon the English wickets fell like ninepins. And finally at 135 for 7 Taylor's wicket fell and Botham was joined by Dilley at the crease. Old and Botham had a partnership of 67 runs after that and finally, Botham was out when his score was 145. The Australian captain Hughes simply ran out of ideas against Botham's merciless assault and failed to be innovative and try new ideas. England's innings ended when they were 129 runs ahead and Australia were set a target of 130 runs to win. That night in the dressing room Bob Willis told Brearley he would bowl faster and straighter, unlike the first innings. This required that he change the end from which he bowled and Botham agreed to the change in plan. The next day Willis proceeded to get rid of Chappell and Hughes, the latter off a brilliant catch by Botham. Slowly Botham was recovering his game fully after the fiasco of the year before. Australia were 58 for 4 at lunch and finally, Border fell to a Chris Old delivery. Marsh tried to hook a beamer and was out and Australia were 75 for 7 down. Willis had taken 6 of the wickets. Then Lillee and Bright starting hitting the ball all over the place and added 35 runs. Finally, Lillee went too far with the hitting and chipped a Willis half-volley to Gatting who was lightning quick and took the catch. Finally, the Australians were bowled out when Bright was bowled by Willis when the Australians were at 111. Willis had taken 8 for 43. The other two wickets were taken by Chris Old and Ian Botham. This match proved that Botham was a brilliantly talented tempestuous batsman who lacked the skill to govern himself. The reason for Botham's performance in that match is attributed to the psychological handling of Botham by his brilliant captain Mike Brearley. Coming back to the comparison between Botham and Kapil Dev, unlike Botham, Kapil is very stable psychologically. Botham had numerous run-ins with drugs and women too. He was not a disciplinarian like Kapil. Kapil always maintained a strict ethical code on and off the cricket field. And this is perhaps the reason why Kapil Dev lasted as the Indian captain for so long and was more successful statistically. I might be crucified for saying this, but having seen both men in action on the cricket field, I rate Botham higher when it comes to sheer talent. But all said and done it is a tough comparison and this is my personal opinion. Now I will give you some personal details about the man Ian Botham. Botham is married to Kathryn Waller whom he met in 1974. They have a son Liam who is a professional cricketer and a rugby player. They also have two daughters. The family currently lives in Almeria and Botham now engages himself by playing Golf. Botham is a supporter of Brexit. I hope you enjoyed the story of Ian Botham, one of the finest players of cricket. So, it has been three posts on Cricketers continuously now but tomorrow I promise I will be presenting someone from a different sport. Botham was the bad boy of criket, wasn't he! I remeber how he physically intimidated the opposing team. Glad to know that he seems to have sobered down. I was expecting that you would cover Ian today. My dad used to like him a lot. It was a n obvious choice wasn't it? I tried to think if other people but this was my mother's suggestion. I remember his as a way too aggressive cricketer. But my father used to praise his skills a lot though he always mentioned that Ian didn't believe in being a gentleman.on field. Another brilliant piece from you Jai. Yes, he was definitely not nice on field. He believed in being aggressive but he was brilliant and was the mainstay of the English team for a long time. I have always trusted your analytical skills but today you have aced all your past work. It is a detailed work of comparing two ace cricketers. More power to you. Thanks for the praise. And thanks for visiting. I tried to be fair in my comparison and I am happy that you liked the post. I remember his name often being taken by my father. He used to love watching him play. Yes, he was a favourite of some of us old-timers. I was very young to understand Cricket when people used to talk about this guy! But I do remember very well because once I started understanding cricket people used to give examples of Ian. You have everything that has to be said about Ian on this plate. Thank you Shubra. I guess you must have been very young when Ian Botham was active. Thanks for visiting and commenting. Nice of you to compare the both. Botham was a more complete player and a better test cricketer. Both of them have had their share of limelight. While a Ashes to Botham's credit, Kapil has a world cup and the title of highest wicket taker for a long time. I would still love to watch that 175 but it never got recorded. Yes, I would like to watch that 175 against Zimbabwe. It is believed to be one of the best innings Kapil has ever played. At the time Kapil walked in India were 19 for 5 and because of that century India won the match. Thanks for visiting Manas.